Make kids abler, success will follow! From the great words of Baba Ranchor Dhass Chanchar, Make kids abler, success will follow. 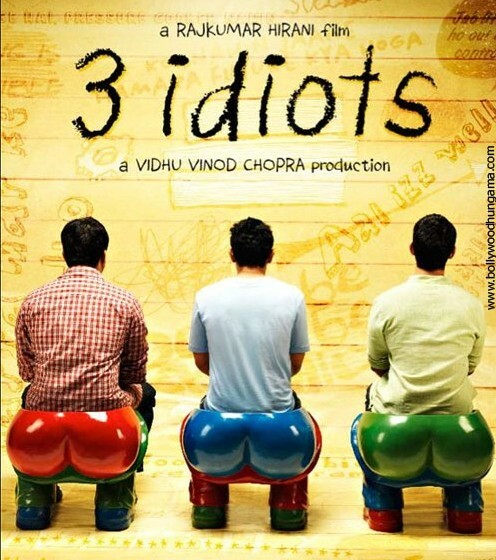 3 Idiots, who haven’t watched the movie? I am sure many of us did, but if you haven’t yet, my friend, this is the best advice I can ever offer to you and I won’t regret it for giving you and you won’t for taking it seriously. 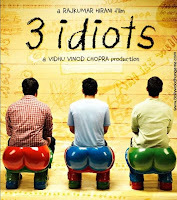 Watch it, its one hell of a movie! Well the movie could be remembered for many things to which viewers can relate to, I was caught flabbergasted and intrigued with the line at the of the movie, it read “Make kids abler, success will follow”. And I was seriously thinking, not to mention how much I was absorbed and how much I loved the movie, did it read something so REALISTIC about human life? Yeah REALISTIC! Aren’t all success famished humans full of desires to achieve and ambitions to climb on? But what do we do to stand at the end with it? The kid has returned home with marks he acquired. The parents are not happy with a kid for not being able to score more or greater marks even though he did well to pass. They bothered least that the least the kid expected from his parents was a pat on the back or a head for having passed it. It would have propelled him with a big encouragement to do it better next time surely to deserve a hug or a kiss from his parents. And from what I know, kids at young age are more sensitive to such human gestures. They grow up to what we make them out. How many of us have passed our exams just by by-hearting the textbooks? I began it in junior school, and in middle secondary schools, I began to realize the value of understanding the faces behind the lines. It was crucial to try to seek shelter within the lines to actually get the true depth of the knowledge and wisdom. But then the pressure of fast approaching exams and last minute preparation most of the time culminated in me having to memorise things, and of course it did fair well. I passed the exams with good results. But what did that I acquired other than the marks? Do my academic scripts with all the good marks allow me to claim that I studied fully to substantiate the materials and have comprehended the most, if not almost all? I honestly feel that I have acquired nothing though I might have passed a lot. The way Baba Ranchor Dhass explains the term called machine quite makes sense. What good it will be if one doesn’t understand what is machine, what machine can do, and how do we human relate with it? Only because we know how to define the machine doesn’t mean we understand the machine properly. It’s important to know what it means other than understanding it superficially. And he gets chucked out of the class to have made a funny explanation on the term “machine”. Many of us are like his professor. We are so much used to superficial things. There’s an old adage in Bhutanese folklore; Kanjur-Toenjur- Ta-Ra-Ra, Ka-kha-Gha-Nga, Nga-mashey (Religious text books, I can read, but alphabetical letters, I don’t understand). While we have read the possible incidences that we are so much a part of a trend, what are the possibilities through which we would be able to stand along carrying the proud tag of being abler? Is it a time to rethink our ways and try mitigating the resources with proper understanding of education? By the time we end our academic period, shouldn’t we also get the best of the sources we had than just passing to get some lucrative job with a degree that says so much otherwise? Let’s learn how to learn, not just to finish the pages. What is this new year bringing new in your life?